Four years ago when our group of intrepid golfers and their spouses visited Scotland several of us became enamored of a dessert called Sticky Toffee Pudding. I remember enjoying it after almost every meal, then promptly forgetting about it once we were back stateside. To our delight, sticky toffee pudding was served at many restaurants in Ireland, and I quickly renewed my acquaintance with this fabulous food. 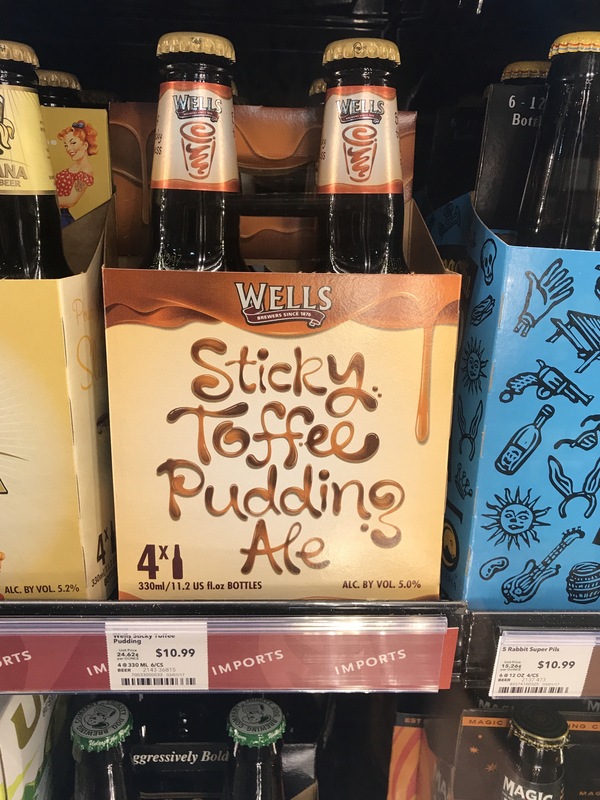 I thought I’d left it far behind after our vacation, but while shopping at Whole Foods in Tallahassee today, I came across a surprise in the beer aisle. I’m calling this picture, “I Haven’t Tried This Brew, but Some Flavors Shouldn’t be Found in Ale Form.” If any of you have tried this ale and lived to tell about it, let me know. I just can’t imagine it as an ale! We get Christmas Pudding ale here at Christmas, so I guess it will be along these lines. x. Maybe I’ll have to try this and report on it. Sacrifice for my writing and all…. Sometimes it is shocking, I know. I am so sorry you must do this…..
Next Next post: Oldie #9: Do You Want Fries With That?